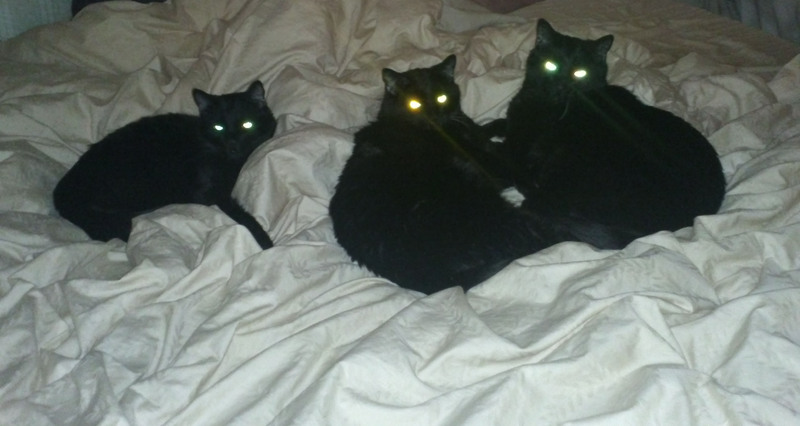 A NEW AWAKENING ~ Black Cats! 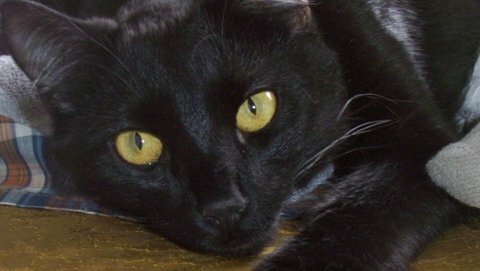 I didn’t know I truly appreciated BLACK CATS until we rescued my three black kitties’ feral mother seventeen years ago. She gave birth shortly after, then was sadly killed by coyotes in the hills near our home when they were only two weeks old. We took over as kitty mom and have been head-over-KITTY-heals in love ever since! My Black Kitties Three ~ Angels on Earth! I’m especially grateful on Black Cat Appreciation Day. I believe he’s now watching over us. I often feel his presence and we sometimes see his ‘shadow’! My tears still flow every time I look at his pictures and I miss him and think of him every day. Coming Soon: My story of how we rescued their mother and how life has been so beautiful with these Three Black Angels. Your black kitties are so cute! I love black cats! All kitties are awesome, but black cats rule! 😉 Thank you so much, Amanda!